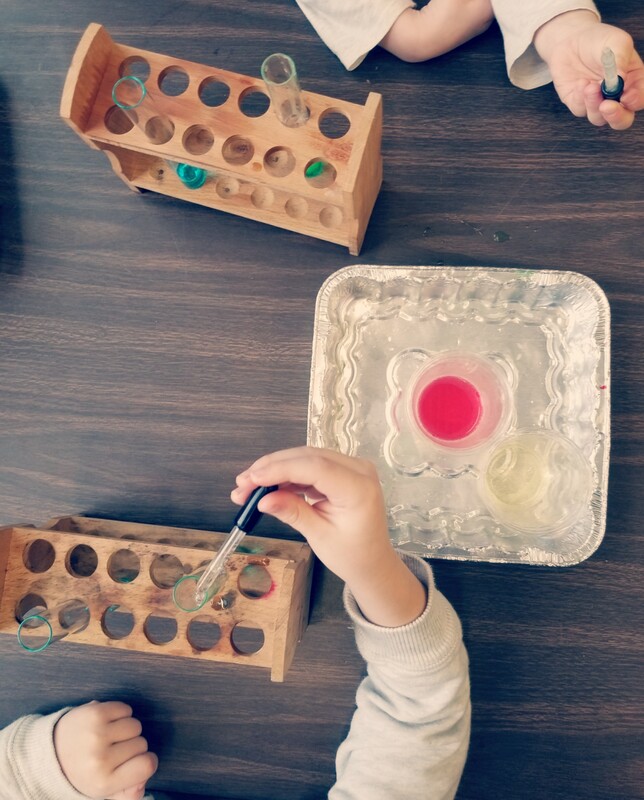 I love teaching science and introducing young children to real science equipment and tools, like test tubes, microscopes, and eye droppers. When I first show them the tools, they will often tell me that they have seen the equipment before – either on t.v. or pictures, but given the opportunity to get their hands on it and use it is incredibly meaningful. Plus, children’s excitement of being a real scientist always makes it worthwhile. 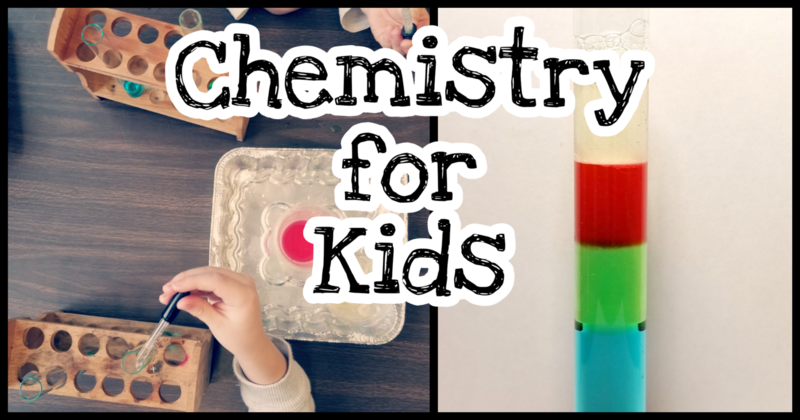 Since I teach kindergarten, I need easy science experiments for kids. 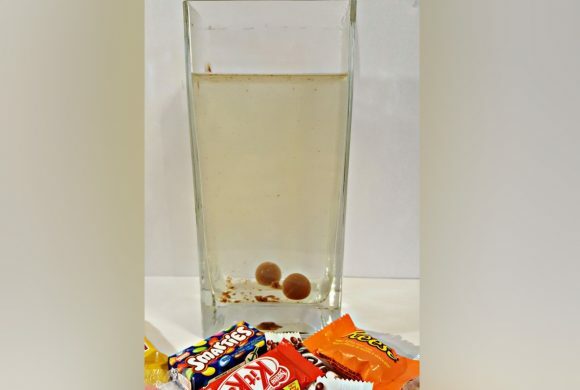 This experiment was a hit with my students, and one of my all time favourites. I teach kindergarten prep, so I did this experiment with over 100, 3-6 year olds. To start, you will need corn syrup with blue food colouring added to it, green dish soap, water with red food colouring and oil. I added the corn syrup to the test tube ahead of time only because it is too thick to add with the eye droppers. 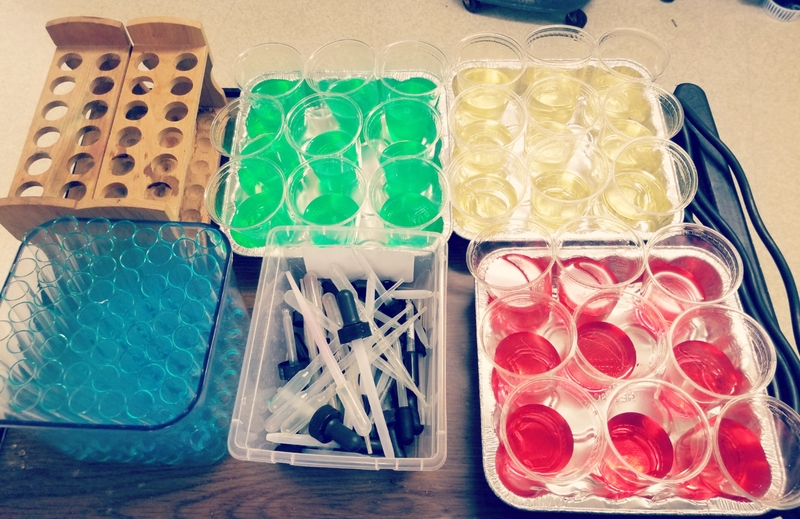 If you don’t have access to test tubes, clear cups or containers work just as well! Once the corn syrup is on the bottom, carefully add the dish soap. I found it easiest if you let the liquid slide down the side of the test tube. It is important to add the liquids slowly so that they sit on top of the layer below. Next, add the water and finally the oil. 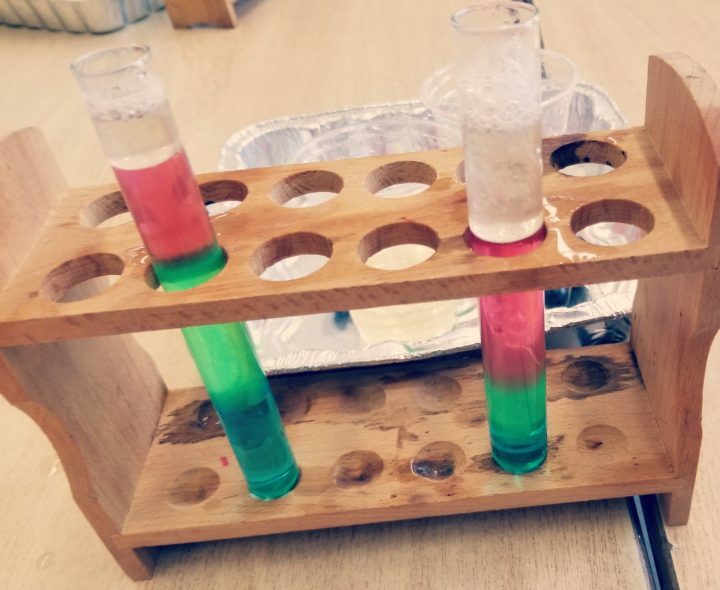 Everyone was very excited to notice that they were creating a rainbow with the liquids! 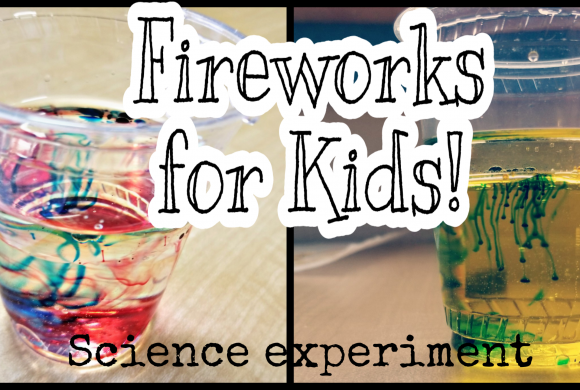 It is such an easy science experiment, but everyone has so much fun and learns a lot! I also like the fact that every single child was successful in creating a rainbow in their test tubes. It is a very kid friendly experiment that makes them feel successful. 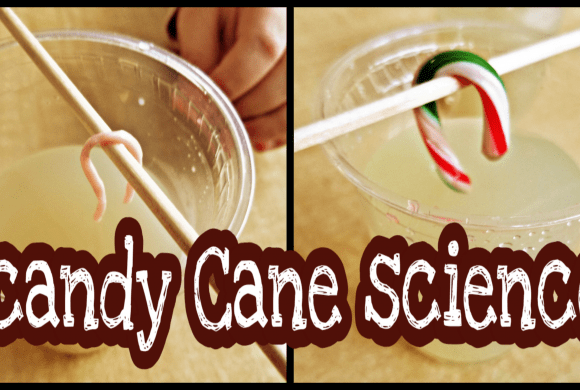 I love easy science experiments for kids for home or school! In my opinion, learning about these basic science ideas in a hands-on way creates a love for science, but also for learning and exploring. As a teacher, what more could I hope for for my students? There was a lot children still wondered after they completed all of their layers. What would happen if they mixed it up/stirred it? 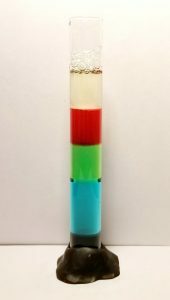 What would happen if you added corn syrup on top of the oil or dropped a small stone into the tube? There are so many extension activities that you could do! Students tried adding a few drops of water on top of their oil to see if it would float. They quickly noticed that it sunk through the oil and stayed with the water.